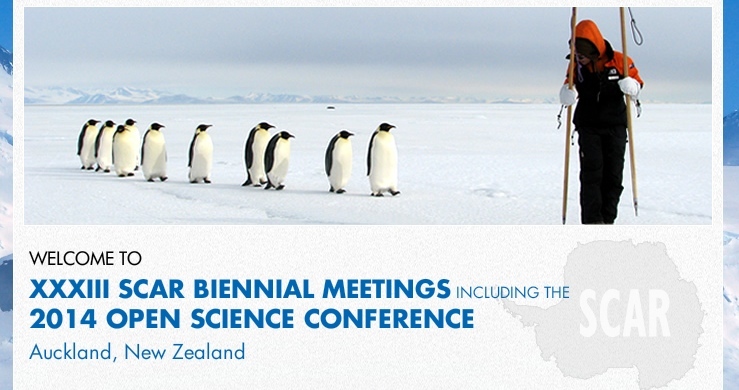 A thousand Antarctic scientists from marine biologists, paleogeologists to astrophysicists descended upon beautiful Auckland, New Zealand for the fantastic XXXIII SCAR Biennial Meetings and Open Science Conference in August 2014. The goal was to draw attention to Antarctic issues. Carol gave an oral presentation at the conference, coauthored with Dr James Orbinski (Centre for International Governance Innovation at the Balsillie School of International Affairs, Professor Dalla Lana School of Public Health, University of Toronto and on UNEP Steering Committee on Climate Change, Disaster Preparedness in Africa). Not only was it an honour and opportunity to present in the first-ever SCAR session “Innovations in Communicating Antarctic Science” to expand on themes included in The Antarctic Book of Cooking and Cleaning on geopolitics, earth stewardship, collaboration, evidence and the value of sharing food and protecting the food chain from Antarctica to the Arctic, but it was a chance to share a locally-infused recipe from the book, biscotti, with scientists and a chance to learn from them and policymakers. Notable presentations were by Dana Beregstrom on Global messages from Antarctica (Principal Research Scientist at Australian Antarctic Division), Steve L Chown, School of Biological Sciences, Monash University Australia on Antarctic Conservation in the 21st century: Discussion for and Evidence-based strategy and Carlota Escutia on Deciphering past climate and ice sheet dynamics from sedimentary records, (Instituto Andaluz de Ciencas de la Terra Spain) amongst many others. “The Scientific Committee on Antarctic Research (SCAR) is an inter-disciplinary committee of the International Council for Science (ICSU). SCAR is charged with initiating, developing and coordinating high quality international scientific research in the Antarctic region, and on the role of the Antarctic region in the Earth system.In addition to carrying out its primary scientific role, SCAR also provides objective and independent scientific advice to the Antarctic Treaty Consultative Meetings and other organizations on issues of science and conservation affecting the management of Antarctica and the Southern Ocean. In that role, SCAR has made numerous recommendations on a variety of matters, most of which have been incorporated into Antarctic Treaty instruments. Foremost amongst these have been the advice provided for the many international agreements which provide protection for the ecology and environment of the Antarctic.” SCAR website. The best presentation was by Molly Zhongman Jia with her stop animation on a krill called Henrietta, soon will post when it’s up on the SCAR site. Her twitter handle says “Antarctic krillist/ecologist, PhD student, amateur violinist, passionate about translating science into fun animations.” And she’s awesome. This small part of the presentation illustrated again the power of food to entice discussion and encourage collaboration. The food stories delegates shared! A favourite was from a fossil expert who spent time camping and studying in the McMurdo dry valleys. 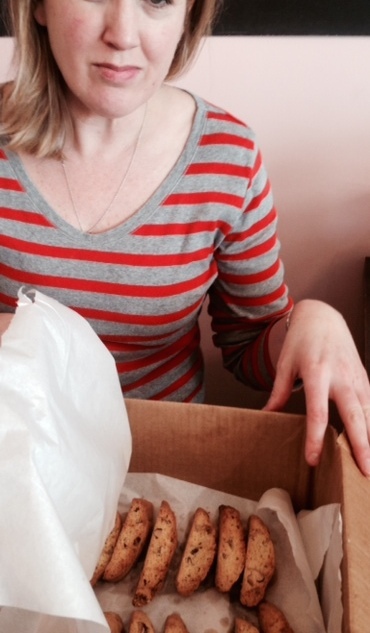 The team only had tinned food for weeks. And then one scientist discovered a slightly-withered apple in his bag. The team nearly died of excitement. That apple was carefully divided up and it was the most delicious tingling wonderful feeling ever to eat fresh food, he said. 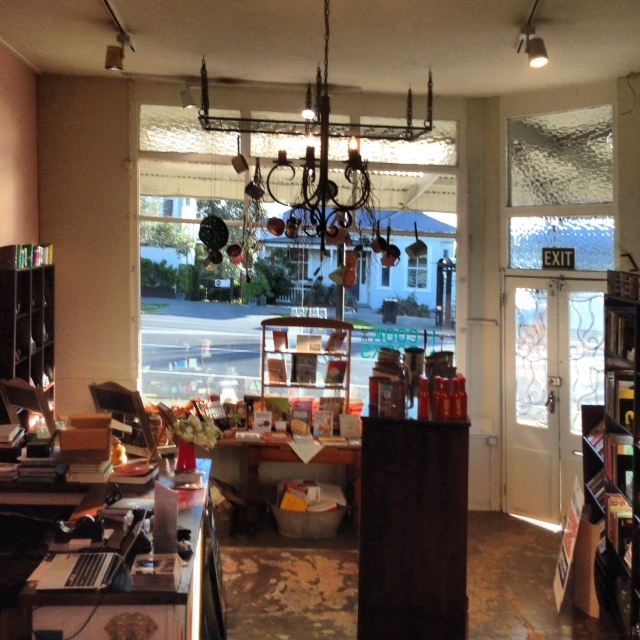 “The best apple in the whole wide world.” At the session Carol shared biscotti lovingly made by Felicity O’Driscoll, co-owner of Cook the Books in New Zealand, a wonderful bookstore and more in Auckland. She put a New Zealand twist on Wendy’s biscotti recipe from the ABCC, using NZ naval orange orange peel and Cointreau vs. almond extract or Pernod. Felicity’s also a recipe tester and fabulous cook. Special thanks to Alan Pope and Rob Dunbar of who co-chaired the first-ever Innovations in Antarctic Science Communication session at SCAR and to Association of Polar Early Career Scientists (APECS), APECS-Oceania, Jenny Rock and colleagues from University of Otago Center for Science Communication, Polar Educators International and others for the fantastic pre-conference on science communication. A main message which is one we endorsed, was ‘storytell your science story’. Nature is silent on meaning so it’s up to scientists and us to say what science is telling us. We know evidence and nature is telling us that the earth is unhealthy and we have in the past and can now do something about it (as so many at the conference are already doing by contributing ground-breaking science). Here is the text of the Antarctic paper Carol presented in collaboration with Dr. James Orbinski, a respected colleague from Dignitas and Médecins Sans Frontières and Canadian expert in global health. Thank you also to James for taking the leap to link global health and Antarctic health and even wisdom and examples from the scientific and health community on lessons learned, commonalities on Antarctic and global health science and advocacy and how to respond to disaster and catastrophe. 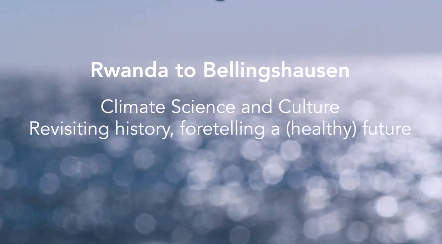 From Bellingshausen to Rwanda: storytelling as the meaning-maker, mapmaker and reservoir of climate science. Revisiting history, foretelling a (healthy) future. Swithinbank’s scientific map-making of a newly explored continent contributed to a deeper social embedding of Antarctica as part of how humans story the earth. Sciences such as oceanography and epidemiology tell us our planet is unhealthy. For example, the Western Antarctic Peninsula is warming and malaria in East Africa is increasing –manifestations of the anthropogenic greenhouse effect. Yet measures, models and processes for investigating climate change science are new in human terms, as is our understanding of Antarctica; both are a century old. Science is a perpetually improving but always incomplete and imperfect method of understanding our world. Science is outside of subjectivity. While we gain insight from its content, the process and content are silent on human meaning. International Climate and Antarctic policy bodies urge improved communication among actors to build consensus, manage the environment and develop humanity’s future (UNEP, SCAR). Science is central to communication. But just as the ”letter is not the word”, “science is not the story.” Storytelling is essential to interpreting and sharing climate reality past, present and future. As such we build a cross-disciplinary collective story to respond to this crisis facing human survival. Orbinski is a medical doctor, academic, global health researcher and storyteller. As a humanitarian and leader, he worked over a decade with MSF amidst war, famine, epidemic disease and genocide. Orbinski co-created the Drugs for Neglected Diseases Initiative engaging pharmacists, scientists and public and private partners. He advocates with scientists, writers and musicians. Devine also worked with MSF and co-authored The Antarctic Book of Cooking and Cleaning with artist Wendy Trusler: the story of a civilian cleanup at Bellingshausen station, weaving historic and contemporary images, recipes, journals and science facts. The project embodied Antarctic Treaty principles of a global commons. The book excavates details of life and exposes humanity (Marsching and Polli 2012). From Rwanda to Antarctica, Orbinski and Devine used storytelling and experienced the potential of story-based advocacy. Storytelling is transformative, builds resilience and promotes effective agency. They explore storytelling as a meaning maker, mapmaker and reservoir for climate science to catalyze responses to climate change, and to (hopefully) foretell a healthy future.